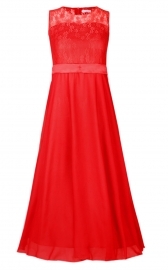 Sleeveless design and knee-length dress. Invisable zipper closure on the back. Adorned with tiny bows on waistline. 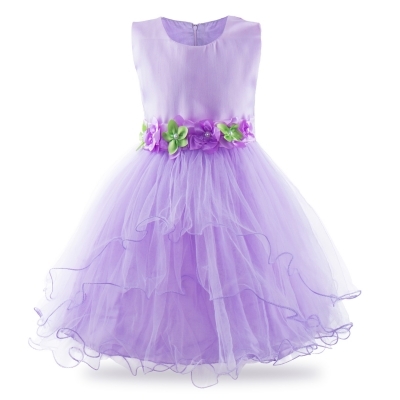 Tutu dress with layers and bindings. 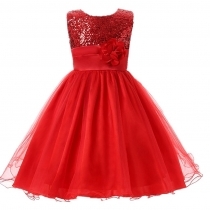 Perfect for party, birthday, holiday, cosplay or others. 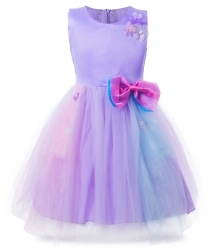 Party Girls Sleeveless Dress comes with bow flowers on the band, the ribbons can be tied to a big bow on the back. 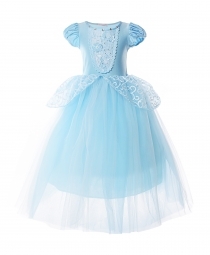 Fancy Costume Wedding Tutu Dress is suitable for girls among 3-16 years old.